Why is the rising teal so difficult to hit? I can generally break dropping teal targets without a problem, but sometimes on a true pair, you really have to shoot that teal early. What’s the secret? Great question! You are describing a teal target that must be engaged on the way up, before it has reached its peak. For other teal targets, the tactic of choice is to simply wait until the target stalls at its peak, approach the target from just underneath, look at the bottom of the target, point at the target with your shotgun and pull the trigger as the target starts its downward movement. For the stalling teal, as with almost every other target on the sporting clays course, you should always avoid occluding the target (getting the gun between the eye and the target) through the breakpoint. But the rising teal breaks all the rules. If you are forced to break the teal under power and before the target reaches its apex, the “don’t occlude the target” rule goes out the window. In order to break this target under power, your gun has to be above this rising target as you execute the shot, you are forced to cover it up. So, what do you do?! Determine your breakpoint on the rising teal at a point where the target is still under power and not yet slowing down appreciably. Establish your hold point no more than 1/3 of the way below the breakpoint (as measured from the breakpoint back to the visual pick-up point or focal point). 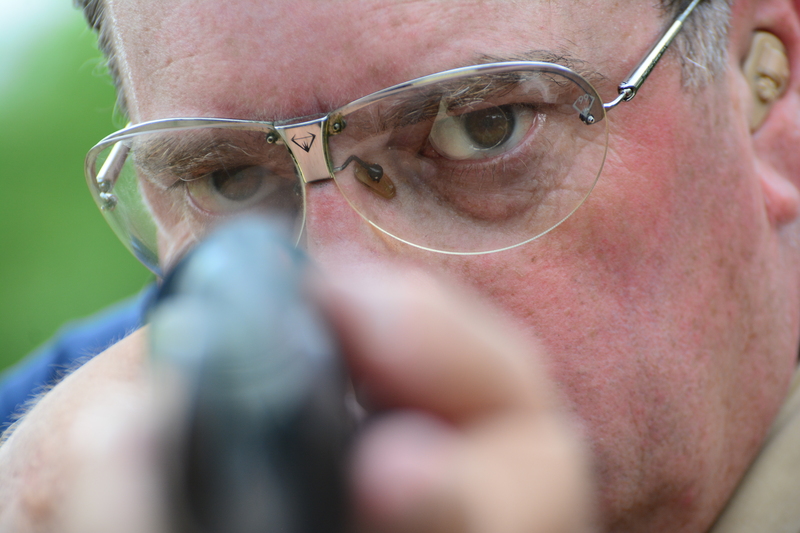 Ensure that, when you are in your ready position, your gun is just far e nough away from your face that you can see the rising target as it approached the muzzle. After calling for the target, let the target come to the muzzle, then move through the target and break it! This move will give your eyes a brief moment to connect with the target as it rises above the muzzle. A couple of cautionary notes: 1) If you pass through the target as it is rapidly draining speed, you will tend to shoot over it so make sure the target still has plenty of power through your chosen breakpoint. 2) You need to be very decisive at the breakpoint. Any hesitation is your shot execution once you occlude the target will result in a miss. As always, commit to your breakpoint. Practice makes perfect. Start training on a teal inside of 30 yards, then gradually work your way out to the longer ones. Once you gain confidence with the “two piece”, you will never again fear the terrible teal.